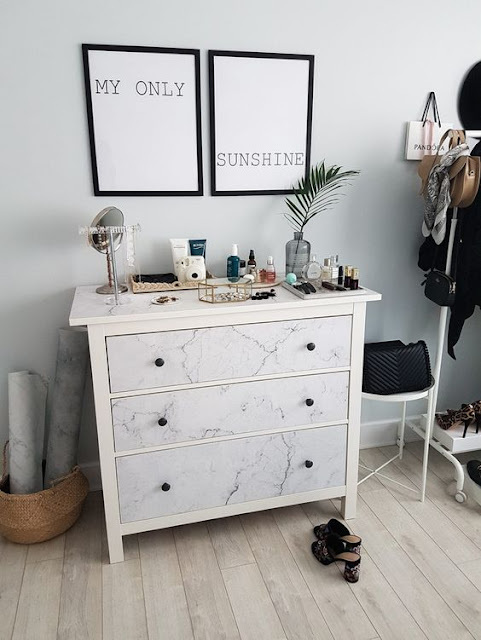 We all know that Ikea furniture is awesome, it's affordable, comes in a wide variety of different sizes and styles to suit all needs and it's pretty good quality too but the downside of that is everybody has it. 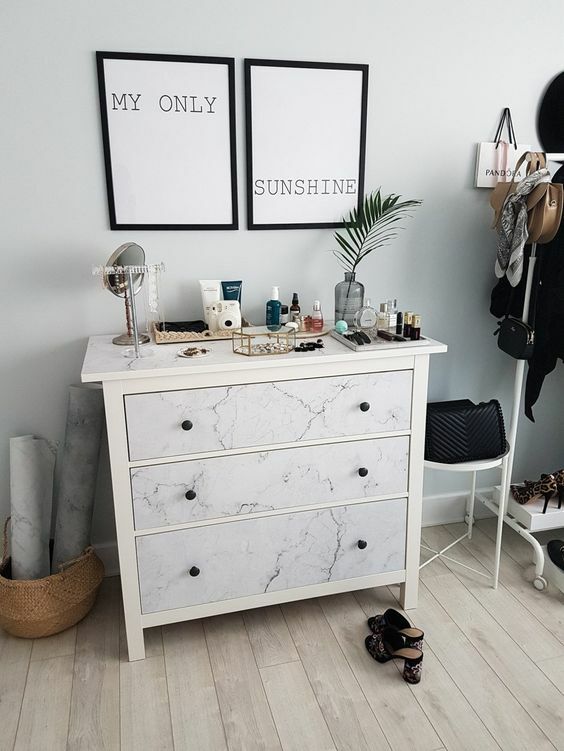 We recently redecorated our master bedroom and needed some extra storage but we didn't want to spend a fortune so we opted for some drawers from the ever popular Hemnes range. They're great value for money and gave us tonnes of storage space but I wanted to make them look a little different and also tie them into our blush pink, grey and copper room. I see lots of people upcycling furniture on Pinterest and Instagram but I've never had the courage to have a go myself, I always assumed it looks too hard or that I'd mess it up but for some reason this time I decided that I was going to give it a go. 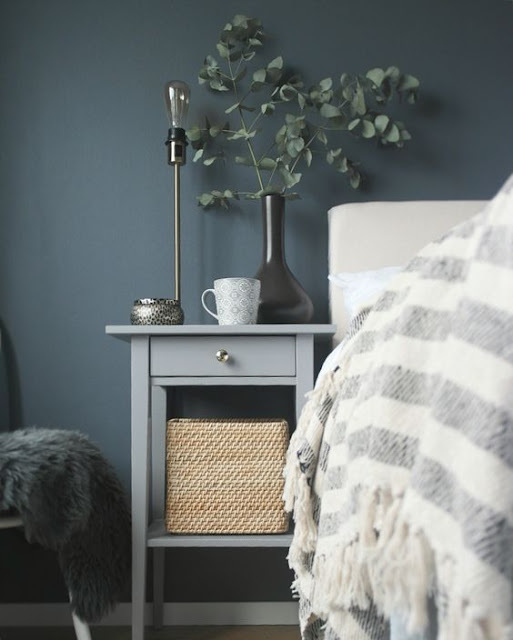 I chose to keep it simple and make one minor change to the furniture and that was to spray paint the knobs of the drawers and the matching bedside tables copper. I've never used spray paint before but I figured "what's the worst that could happen?" if I made a total mess of it I would just buy new knobs. So I decided to go for it and I'm so glad I did, I used a primer first and then the copper spray and they turned out better than I expected. I think it's given the furniture a more unique and expensive look and I'm so pleased with how they turned out. 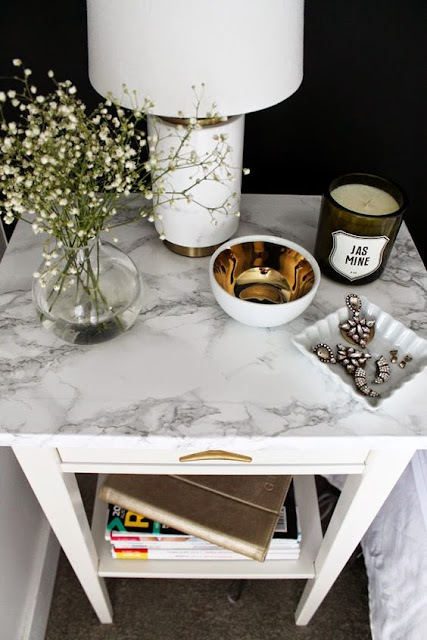 Here are a few other ways you can make simple yet very effective changes to the Hemnes furniture or any furniture for that matter. 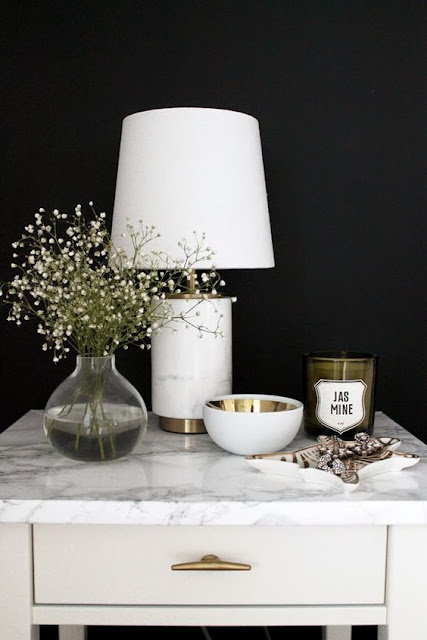 Firstly you can use marble vinyl on the fronts of the drawers or on the tops to give them a modern and more luxurious look, I love this and I'm very tempted to give it a try on my desk in the office so watch this space. Changing not only the colour but the style of the draw knobs can make a huge difference to the look of them as you can see on the picture above. 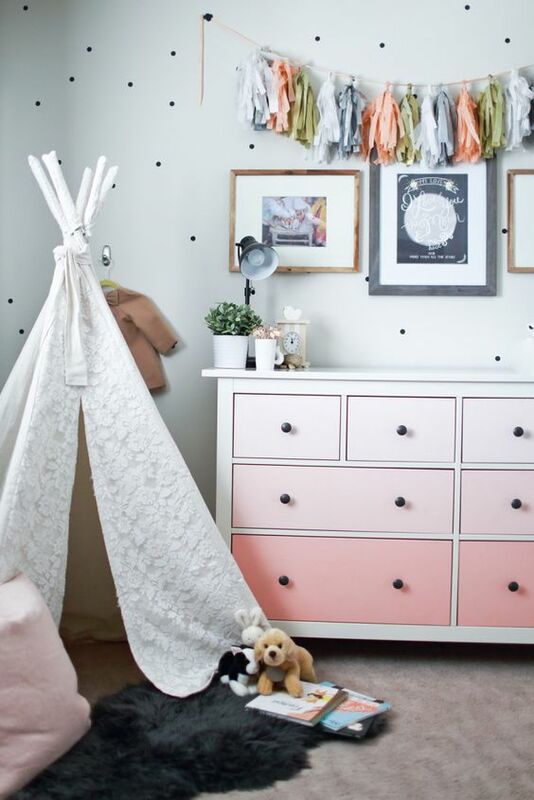 Lastly a simple paint job can really transform them into completely different looking furniture and would be very quick and easy to do, I love this pink ombre look which is perfect for a little girl's bedroom and the grey bedside table just looks so chic. 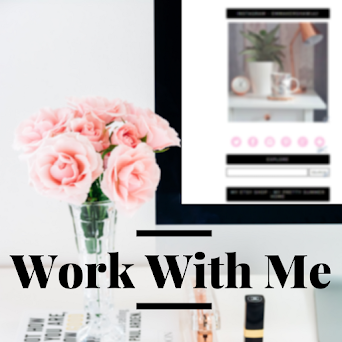 If you're thinking about giving something like this a try I say go for it, if you'd like any advise or would like to ask any questions leave me a comment below and if you have a go at any of these hacks tag me in your photos as I'd love to see them.